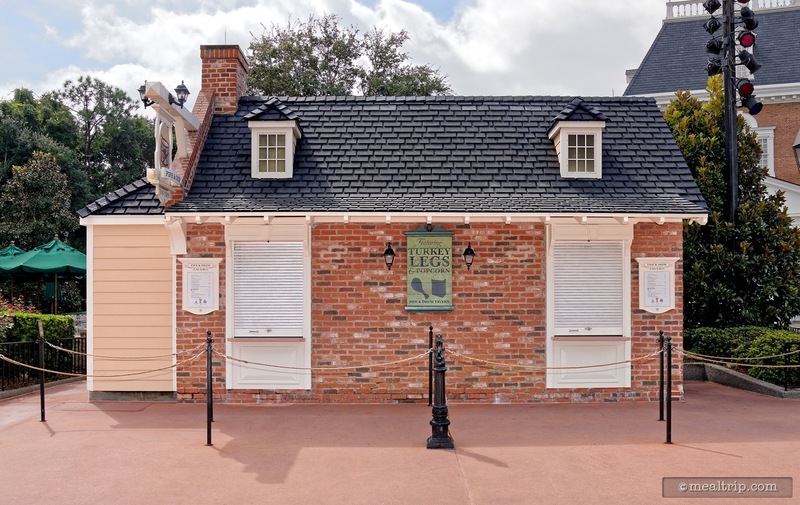 This two window kiosk is located on the main walkway and in front of the American Adventure attraction. 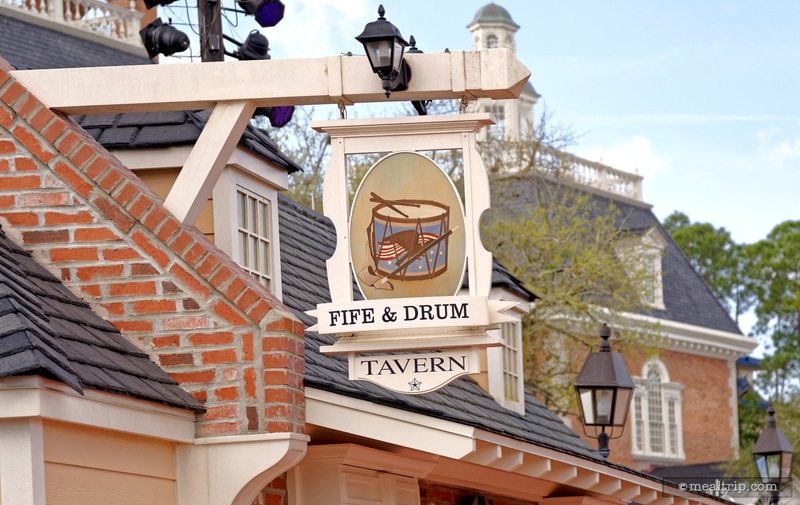 There is an outdoor, umbrella covered seating area that can be used, but is also shared with the Liberty Inn. 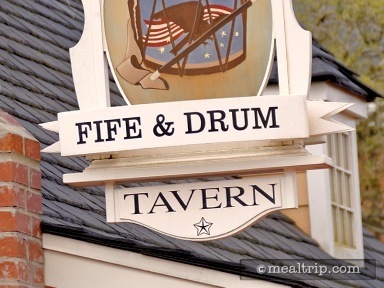 The Fife & Drum Tavern kiosk offers several beverages, including root beer floats, and several beers and wines. 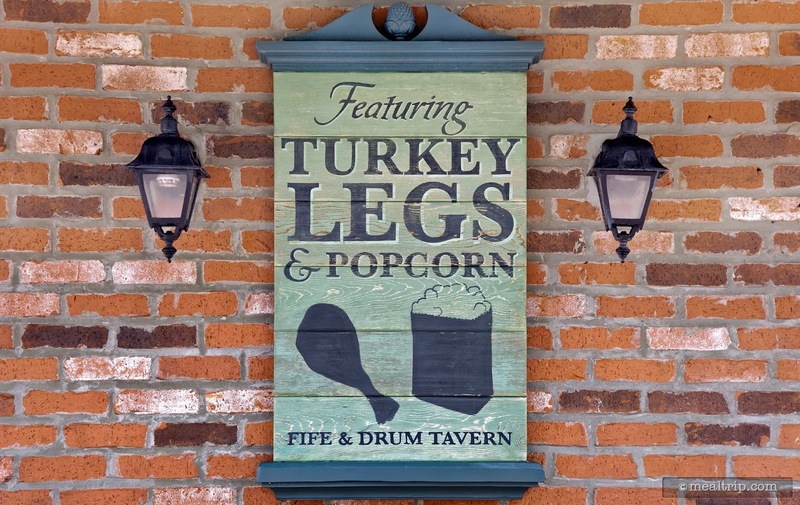 Popcorn is a staple here, and jumbo turkey legs are also usually available.